CollectorsNet.com is the new online venture developed by the Palm Beach Show Group, producer of the prestigious LA Art Show, the LA Jewelry and Antiques Show, the Naples Art, Antique & Jewelry Show, the Palm Beach Art, Antique & Jewelry Show, the Baltimore Summer Antiques Show, the Dallas International Art, Antique, and Jewelry Show, and the Chicago International Art, Antiques, and Jewelry Show. Designed especially for dealers, collectors and interior designers, the site is an international marketplace for fine art, antiques and jewelry that is available to its members 24 hours a day, seven days a week and 365 days a year. With features that allow members to search thousands of one-of-a-kind items posted each week, create a profile, upload images of merchandise to a gallery and add items to a wish list, and a social networking component that allows members to post a profile picture and real-time chat, CollectorsNet.com is positioned to become the leading online resource for dealers, collectors and interior designers. The site also offers designers the opportunity to create a look book for clients and post examples of their work in an online portfolio. 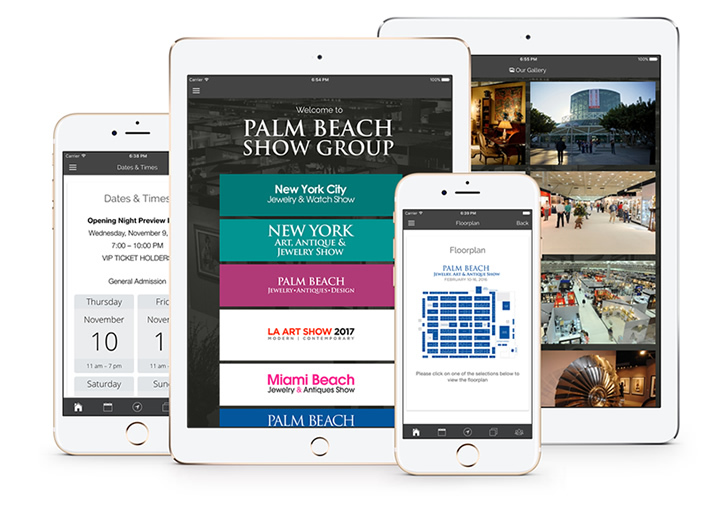 In addition, CollectorsNet.com contains news articles relating to the industry, a blog and information about the Palm Beach Show Group’s future shows. At this time, dealer registration is limited to participating Palm Beach Show Group dealers. Designer and Collector registration is open to the general public. The search bar at the top of the page allows you to locate a specific item you may be looking for. Once you find your object of desire, our site allows you to contact the dealer directly to make an offer or you may add the item to your “Wish List” for future purchase. You may also search for items by Dealer Name, Category or City on the right hand side of the page. The “Chat” feature allows you to send real-time messages to dealers who are currently logged in to the site. Your “Wish List” is a place to store all of the items that pique your interest. “Email to a Friend” allows you to share information about a particular item to a friend.